During one of our first weeks here at Towne Motel, in the our front office Visitor book, we found this comment left by guests from Chicago: “We love our mountain!” We were touched by the connection our guests felt to Camden’s Mount Battie, but at the time we didn’t quite get the “mountain thing.” We’ve always been water people–ocean, lakes, pools–thus our attraction to Mid-Coast Maine as we inn-shopped. 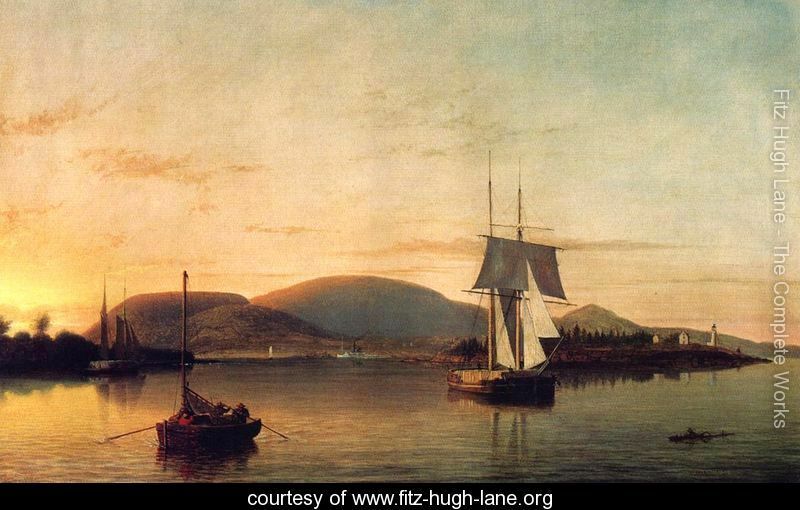 Thus, before we moved to Camden in September and became the owners of Towne Motel, we thought of Mount Battie as kind of an “extra”–a bonus feature of Camden. 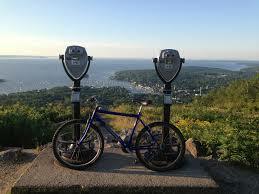 But Mount Battie has cast her spell on us, and now we love our mountain, too. When Siobhan opens the front door for breakfast each morning, she pauses to look at Mt. Battie, which is different every day and throughout the day. In October we watched her blaze with color. In the mornings she is sometimes shrouded with fog, then suddenly clear. On Tuesday, she wore a mantel of snow for the first time. Much as we love looking at Mount. Battie from below, it’s even better to experience her first-hand: hiking the trails in Camden State Park and breathing in that heavenly pine smell, or standing atop her summit, looking at a spectacular, not-to-be-missed (as we tell our guests) panorama of Penobscot Bay. On Thanksgiving night, the Christmas star was lit on Mount Battie’s tower, to shine over Camden every night until New Year’s. And yesterday, for Katja’s birthday, we hiked up (from our front door!) to the tower and spent some time with our star. Then we hiked back down and, when darkness fell, looked up to see her come alight again. Magical.